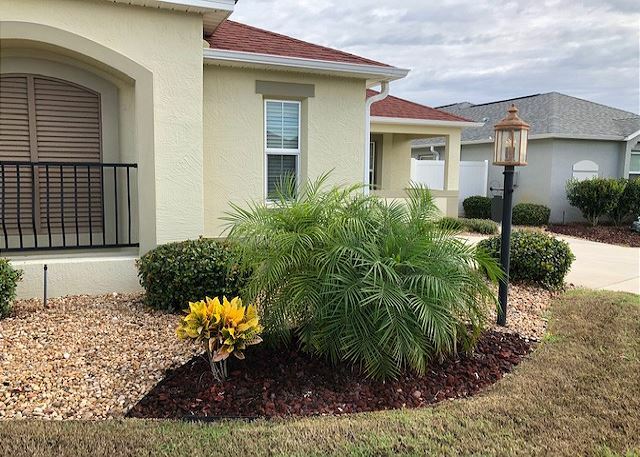 The Villages, Florida United States - GOLF CART 3 BEDROOM COURTYARD VILLA IN THE VILLAGES GOLFING GALORE | RE/MAX PREMIER REALTY Inc. Beautifully decorated three bedroom courtyard! Walk into this lovely home and you are right at home. Dining seats 6, two seats at the breakfast bar, flat top cooking, all electric Arlington floor plan! Large and open, great home for entertaining during your visit. King in master, queen in guest room. Flat screen tv's. Nice screened lanai on the back with table and chairs. Golf cart included with this rental. Sharon N. from New London, PA United States recommends this vacation rental. We thoroughly enjoyed our vacation at 1753 Waterbury, The Villages, FL. 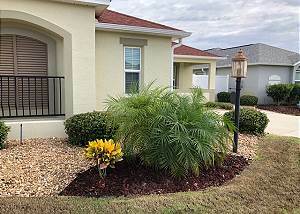 The home was perfect and enjoyed the location to go on our day trips around Florida. The Villages is a wonderful place and all the people that we met were very nice. The three town squares provided nightly entertainment and the squares provided wonderful restaurants and shows.